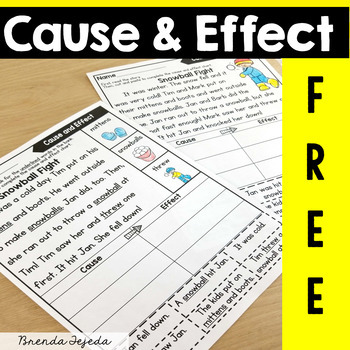 This pack includes sample reading passages and printables to practice the Cause & Effect comprehension strategy. 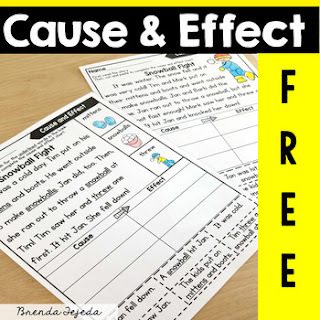 -Version 1- Students use the picture word bank to help them read the passage, then cut and paste sentences in the cause and effect chart. -Version 2- More difficult text. Students cut and paste sentences into chart. -Version 3- Students find the cause and effect in the text on their own. Students cut and paste picture-supported sentences to show the cause and effect chain. Differentiated with 3 or 4 steps.